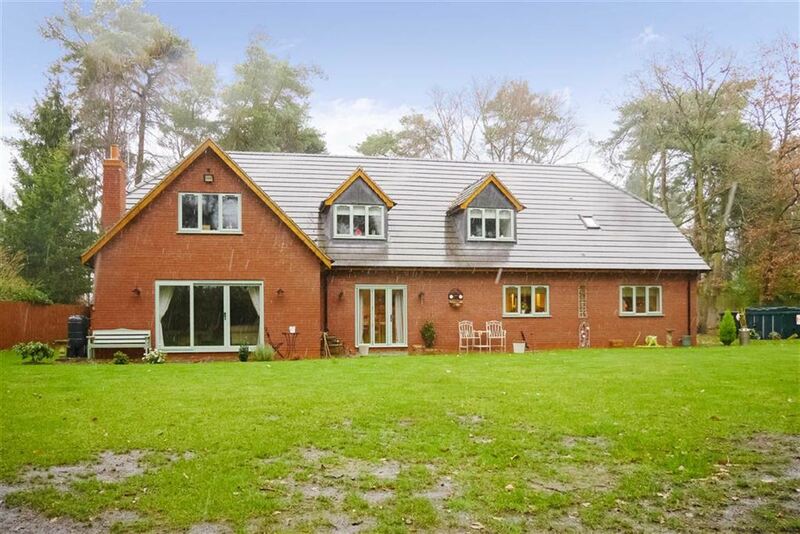 A beautifully presented and very spacious 6 bedroom architect designed, individual detached family home, sitting on a reasonably secluded plot of around half an acre, This fantastic home is full of features, to include 3 en-suites, 2 reception rooms, and a stunning family kitchen. There is a good size garage and ample parking for several vehicles. Trafford House is a quite magnificent six bedroom family home, that is beautifully presented and has a fine array of features, to include under floor heating to the ground floor, with traditional radiators to the first floor rooms. 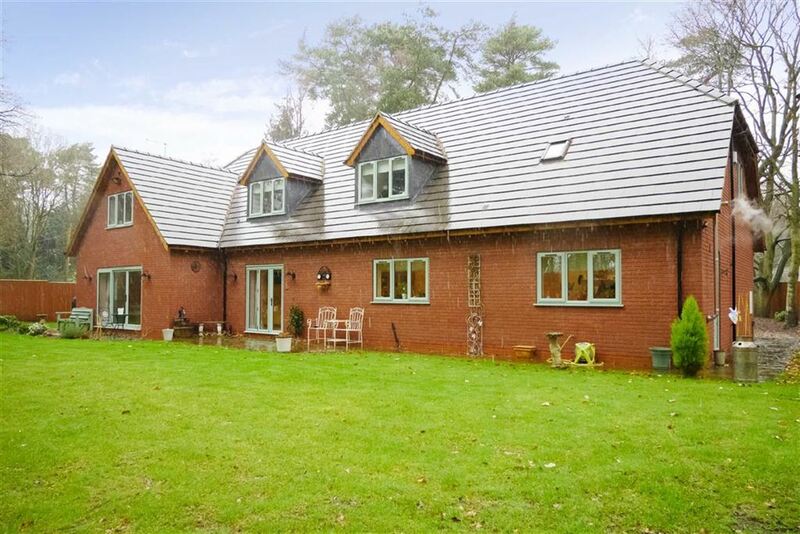 The property is fully double glazed and enjoys secluded and reasonably private grounds that include a small area of woodland. The accommodation has been very well thought out, and there is the possibility of a separate annexe with stairs from the utility room to a spacious bedroom and e-suite shower room. 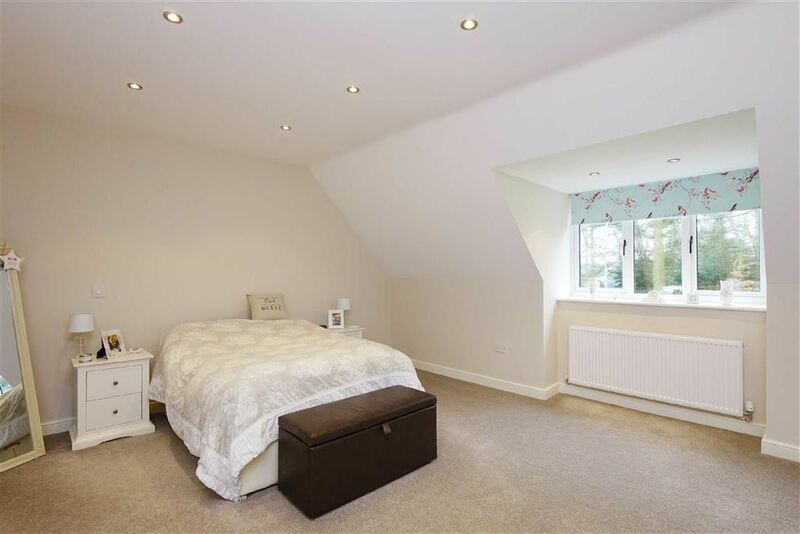 A further bedroom with en-suite wet room is situated on the ground floor, giving even more flexibility and being ideal for a growing teenager or elderly relative alike. 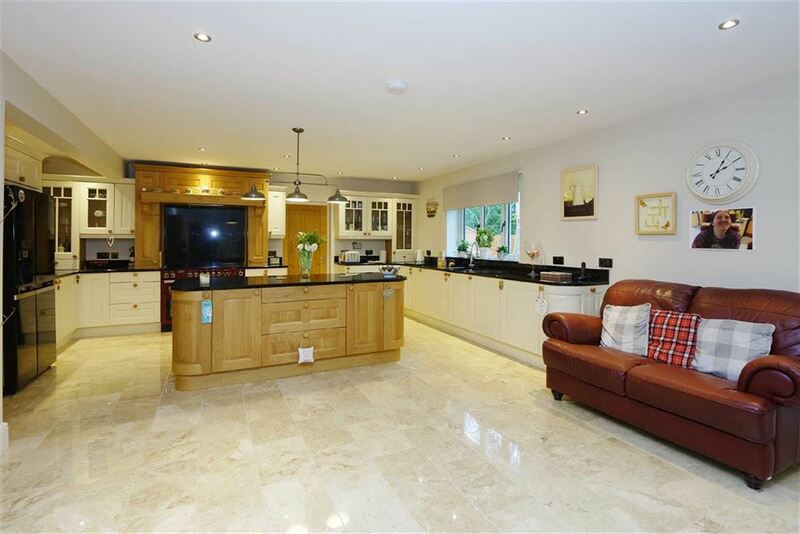 Of particular note is the quite stunning kitchen/family room, which is beautifully appointed and is the centrepiece of the house. 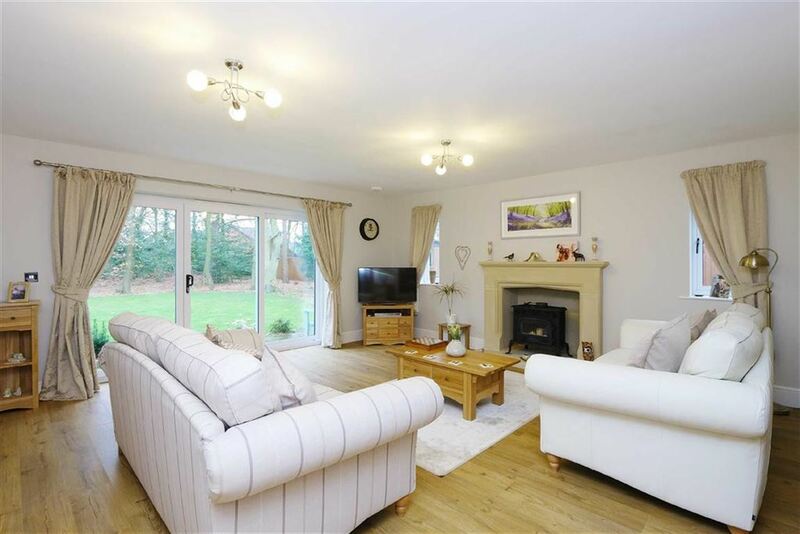 In addition there are two reception rooms with the family lounge overlooking the rear garden. This property is truly one of a kind and is well worthy of internal inspection to fully appreciate the fantastic living space. 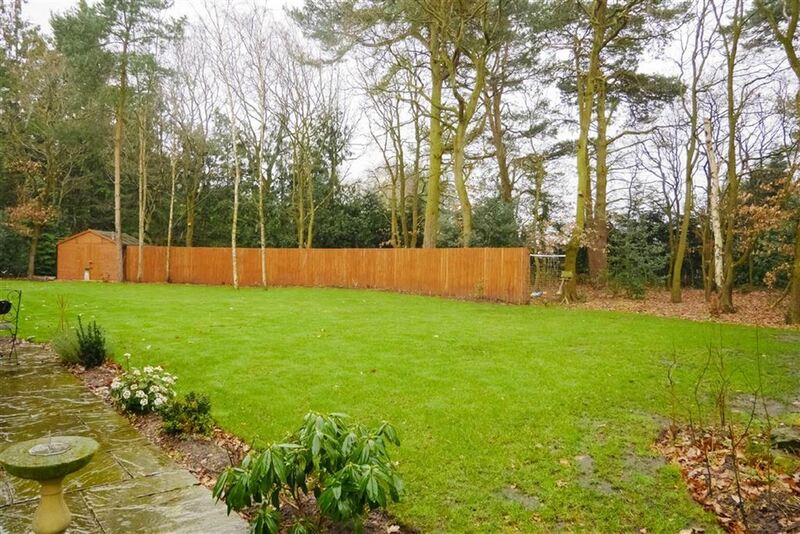 The property is situated within the popular village of Higher Heath. The North Shropshire towns of Whitchurch and Wem are both within easy motoring distance and have an excellent range of local shopping, recreational and education facilities. For those wishing to commute to Shrewsbury and Chester there are good road links. 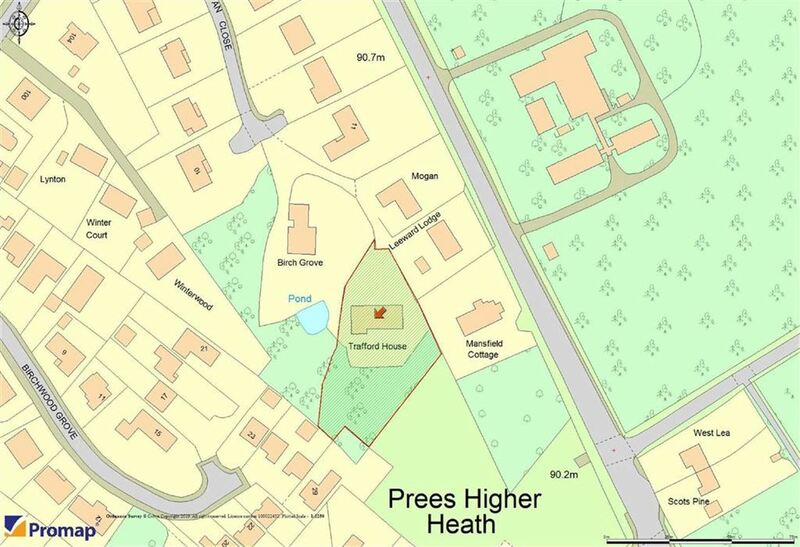 The village of Prees is approximately 1 mile away and offers local shops, including a post office, a newly built medical centre, a primary school and a main line railway station. Double glazed sliding doors to the rear garden, two further double glazed windows to the side, stone surround to the fireplace, under floor heating, timber flooring, TV point. 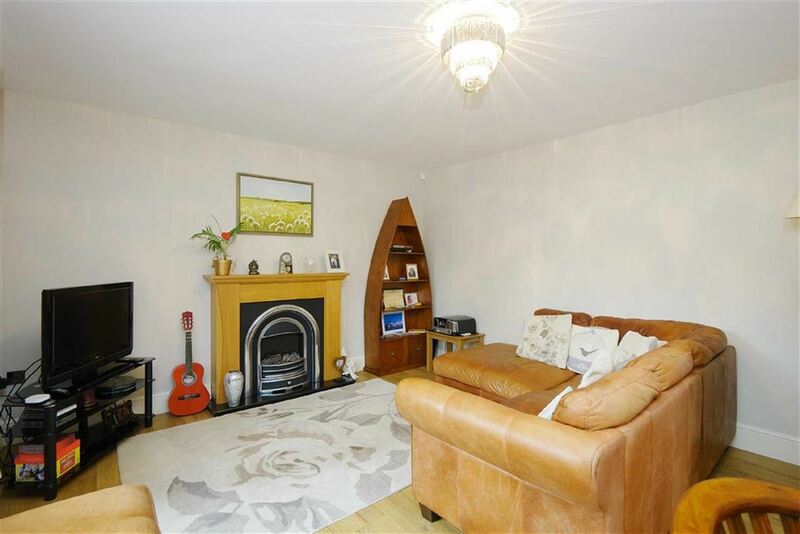 Double glazed window to the front, decorative timber and cast fireplace surround with a fitted electric fire, under floor heating, timber flooring, TV & telephone points. A fully tiled wet room having a plumbed-in mains shower unit, wash basin with mixer tap, low level WC, extractor fan and flush fitted spot lighting. A quite stunning room having a kitchen area comprising a one and a half bowl composite sink with multi function mixer tap, inset into granite work surfaces, and having a comprehensive range of cream base, drawer and wall units, with glass fronted wall display cupboards, and incorporating a range cooker inset into inglenook with extractor hood above, built-in dish washer, space for American style fridge/freezer, granite topped island unit with base cupboards with lighting above, under floor heating, marble flooring, double glazed window and folding doors to the rear garden, TV point, flush fitted spot lighting. Fitted with a composite sink with a mixer tap, inset into black work surfaces, and having a range of base and tall cupboards, tiled splash backs, plumbing and space for a washing machine and separate dryer, floor mounted oil fired central heating boiler, flush fitted spot lighting, double glazed window to the rear, double glazed stable style door to the side, stairs to bedroom six. This utility room could quite easily be utilised as a kitchen and create a potential annexe for a family member or relative. 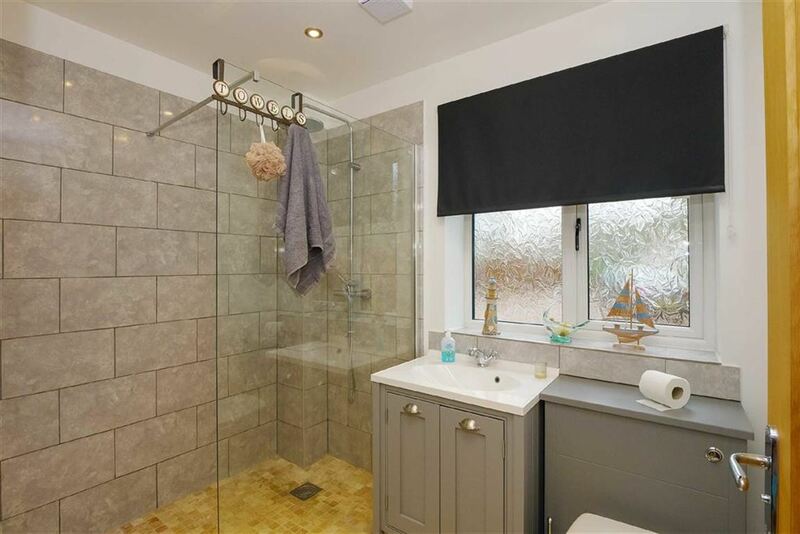 Plumbed-in mains shower unit in tiled cubicle, pedestal wash basin with mixer tap, low level WC, tiled splash backs, chrome towel rail radiator, extractor fan, double glazed roof window to the rear. Having marble flooring with under floor heating, doors to the garage. 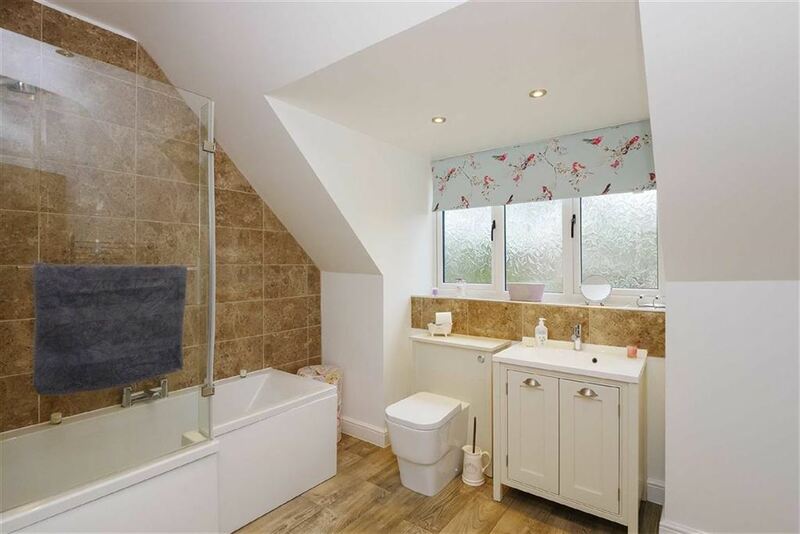 Fitted with a plumbed-in mains shower in a tiled enclosure with glass splash screen, wash basin in vanity unit with cupboard below, low level WC with concealed cistern, under floor heating, marble flooring, extractor fan, flush fitted spot lighting, double glazed window to the front. Useful store room having the pressurised water cylinder and under floor heating controls. Access to the roof space, timber doors throughout, radiator. Double glazed window to the rear with garden views, two walk-in wardrobes, built-in linen cupboard, radiator, flush fitted spot lighting, door to the en-suite bathroom. His and Hers walk-in wardrobes, both measuring 7'0 x 5'6 and each having fitted lighting, power points and radiator. Fitted with a panelled bath having a plumbed-in mains shower over and glass splash screen, wash basin in vanity unit with cupboard below, low level WC with concealed cistern, tiled splash backs, chrome towel rail radiator, extractor fan, flush fitted spot lighting, double glazed window to the front. Double glazed window to the rear with garden views, door to a walk-in wardrobe having lighting and giving ample storage, double radiator, TV point. Double glazed window to the front, built-in double cupboard, radiator, TV point. Double glazed window to the rear with garden views, radiator, TV point. Fitted with a white suite comprising a 'stand alone claw foot bath' with mixer tap and shower attachment, separate shower enclosure with a plumbed-in mains shower unit, wash basin with mixer tap inset into a vanity unit having cupboards below, low level WC with concealed cistern, chrome towel rail radiator, extractor fan, flush fitted spot lighting, double glazed window to the front. Fitted with a timber up and over door, power and lighting connected, plastered and painted walls and painted floor. 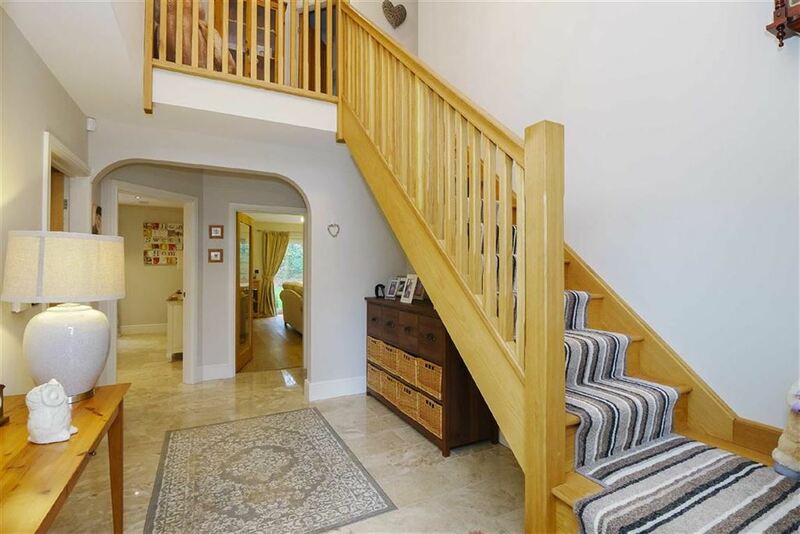 The property is accessed through double brick gate pillars leading to a gravelled driveway giving ample parking or several vehicles, there is a planted shrub and flower garden with inset mature trees. A path leads round to the side garden which has a large timber shed and a summer house, oil storage tank and lawn area. There is a patio garden to the opposite side of the garden and leads round to the rear. 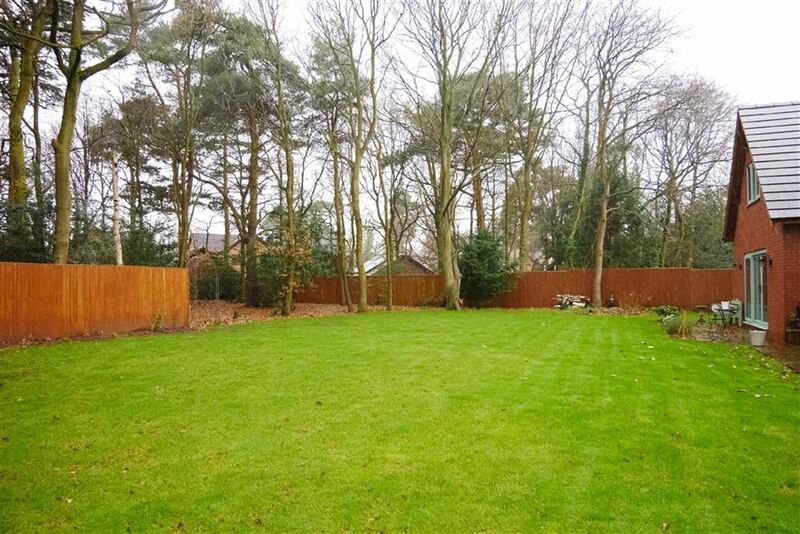 Extensive rear garden which has a large lawn area with timber fencing boundaries, and a there is an area of woodland that is partly fenced off and provides a natural screen from nearby properties and gives a degree of privacy. Leave Whitchurch on the A41 towards Wolverhampton and proceed for approximately 3.7 miles into Higher Heath. 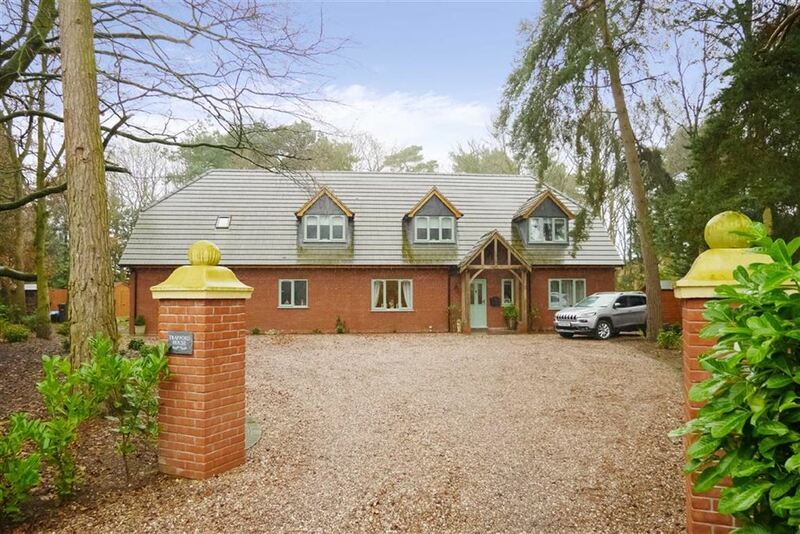 Turn right into Heathwood Road, continue into Twemlows Avenue and then right into Sylvan Close, follow the road towards the end of the cul-de-sac and the property will be found through a pillared entrance on the right hand side. The property is currently listed as a Band 'G' on the Council Tax Register with approximately £2,774.80 Payable in the current year 2018-19. For confirmation of these figures and any other Council Tax questions, together with details from the planning office contact Shropshire Council on 0345 678 9002. Mains water, electricity and drainage are understood to be connected, heating is via oil fired central heating boiler to under floor heating and radiators. None of these services have been tested.